Bella’s Skin Care Centre has been providing tailored skincare, beauty and relaxation services for over 15 years. Our team of dedicated beauty and dermal therapists are highly qualified and passionate about providing you with the very best treatment and advice. We constantly invest in the latest technologies, treatments and staff training to ensure Bella’s remains at the forefront of the ever-changing beauty industry. Located in the heart of East Fremantle, on the corner of Canning Highway and May Street, our salon is conveniently situated in close proximity to public transport, ample parking bays and other amenities including cafes and boutique shops. You’ll find Bella’s in a quiet, office block, perfect for those who are after a little more privacy. We are proud to offer treatments and services that are proven to deliver incredible results. Our approach is holistic, but results driven, meaning you can rest assured that we consider the bigger picture of your health and wellbeing when prescribing your customized treatment plan. 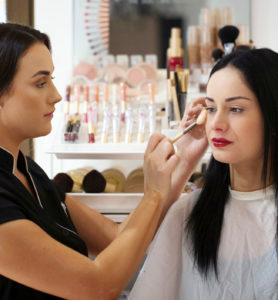 Each and every client at Bella’s is unique and we pride ourselves on developing long lasting relationships with our guests who trust us with their skincare and beauty needs. As a client of Bella’s Skin Care Centre, your skin goals, comfort and well-being are our priorities during and after treatments. We are dedicated to educating clients on best practice skincare, so you can confidently continue with your home care until your next visit. Services range from clinical skin care treatments using the latest products and technologies for both men and women, relaxing waxing from head to toe, indulgent spa packages, pampering treatments for hands and feet, lash and brow makeovers, makeup application, spray tanning and more.